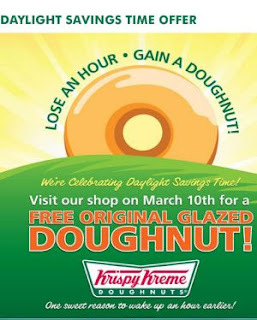 Get a free doughnut from Krispy Kreme on March 10th, 2013. Lose an hour gain a doughnut! Click the link below to see the participating locations.